Brodi Ashton: Big News!! My Book is going to be an Actual Book! Big News!! My Book is going to be an Actual Book! I walked outside my house this morning, just to make sure, and yep. I was right. Hell had not frozen over. I glanced over at my neighbors house, and nope, cats and dogs weren't living together. As a final courtesy, I turned around in front of a full length mirror. And nope. Monkeys were not flying out of my bum. HARPER COLLINS (Balzer & Bray imprint) BOUGHT MY BOOK!!!!!!!!!! Not only that, they bought THREE BOOKS!!!!! Agent Michael Bourret at Dystel & Goderich closed a three-book deal with Kristin Daly at Balzer + Bray, selling North American rights in a pre-empt for a YA paranormal romance by debut author Brodi Ashton. 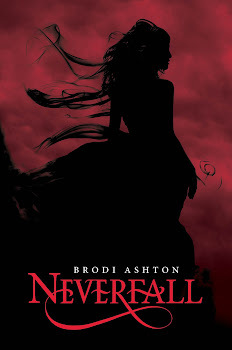 The first book in the deal, The Ever'neath, is partially based on the Greek myth of Persephone: a 17-year-old who's been banished to the underworld escapes to her former earthly existence with her family and boyfriend. The catch is that she only has six months in the real world before being sent back to Hades, this time forever. Book one is tentatively scheduled for winter 2012. 1. Michael invited representatives from the heads of the main publishing families to read the manuscript. They got it on a Monday. 2. After a day and a half, I sent a crazy-a** email to Michael, titled "I'm a Patient Person" and then explaining all the many ways I'm not a patient person, and asking why we hadn't heard anything. I felt like Jane Austen's Emma, constantly checking her mailbox and exclaiming, "Why do they not write?!!" 3. Michael sent me an email, saying, "It hasn't even been 48 hours yet. Stop sending me missives*." *Disclaimer: I don't know if he actually used the word "missives". It just seemed appropriate. 4. Shortly after Michael sent that email, he called me and took it all back. Apparently 48 hours is exactly long enough for Balzer & Bray to send us an offer we couldn't refuse. So I told Michael, "Leave the gun, take the cannoli" because every good offer comes with a large container of cannoli. I kissed Michael's ring, and then he was off to accept the deal. I still can't believe it all finally happened, and I recognize there are so many little outside factors that helped me get to this point. So many people to thank, but for now, I want to thank all of you blog readers. Yes, you. And you. I love everyone!!! Congratulations!!! That's awesome! That means I'll finally get to read past the first chapter. Woo-hoo!! Oh Brodi, Congrats! That is the best news ever, because it means I CAN FINALLY READ THE ENDING OF YOUR BOOK!! I still think you should taunt Jeni by sending her your first chapter every week from now until the book is published. Brodi- that is FANTASTIC!!! Congrats, congrats, congrats:) I can't wait to read your books. Congratulations!!! So awesome Brodi - you deserve it. lol on the Godfather take. This is so awesome! I'm related to a writer! =) You should have your own Wikipedia page now! Keep the updates coming, you know I'll be the first to get every book and send them to you to sign them. Just so I can carry them around with me and brag that I know the author. Congrats! Heather- You would know, right? Thanks!!! Congratulations!!! I had no doubt this would sell and sell big. You must be thrilled! Big time congrats, Brodi! Woohoo! Hope you've been celebrating with lots and lots of cannolis! YAY!!! That is so exciting!!! Congratulations! Congratulations! This is very exciting news!!! Yay, my wife rocks! I can't wait for my photo shoot to have me on the cover, wearing jeans and a cape. How exciting! And what an intriguing premise - I'm looking forward to reading it. Congrats Brodi!!! So So cool. Happy Day! I'm doing my happy dance in the office! Happy Day! Congratulations!!! I can't wait to own the trilogy and tell my children "Yes, I know the author. We met at a writing retreat. Yeah. See, she even wrote a personalized message in it." "Dad... that's your handwriting." "Uh... she told me what to write.. it was over the phone.. or facebook, or something..." "What's faceblock?" YAY!!!!!!!! Brodi I am SO excited for you! Just came her from Bree's Tweet--HOW was I not cyberstalking you before???? way to go brodi! all that hard work and ignoring of children and housework has finally paid off. seriously though, thank you for blogging and sharing your story. i am so happy for you and your story sounds amazing! can't wait to read it. Seriously, Thank you so much everyone! I don't know what to do with all the emails I'm getting. Thank you, thank you, THANK YOU!!!! Congratulations Brodi!! You are so talented as a writer and I'm happy the stars aligned and the big guns figured it out! So awesome!!!! You deserve it. It's about freaking time! Sheesh, I'm surprised it took 48 hours. They should've been calling the minute the manuscript hit their inbox. Congratulations Brodi! I'm so excited for you! Now, I can read your books and review them on my blog instead of keeping them secret like I've had to with Echo! You're awesome and I can't wait to promote you to everyone I know!!! Wow! Congratulations! Be sure to let us know the release date ASAP. Once again, congrats! Love you! Yayayayayayayayay!! I am soooo excited for you, I knew it would be a hit! CONGRATULATIONS!!! Whoopee!!! Congratulations, Brodi!!!! That is absolutely awesome news!!! Yay!!!!! I cannot wait to read your book! You know, I figured it out. You plugged the hole in your heart, now the offers won't fall through the cracks!! dude, you are so famous!!!!! I can't believe I'm friends with you! Remember me when you get to the top. Congrats, and you are so awesome. Congrats, Brodi!That's so amazing! Not that YOU sold a book, but that you SOLD A BOOK! Three books! I'm so excited for you. I know how hard it is to wait, and you definitely deserve a reward after all those games of solitaire. Besides, now I get to read it. Hoooray! I'm so thrilled for you and can't wait to see you behind the podium over at TKE doing your book release debut. I'm going to start thinking of interesting questions to ask during the Q&A. Yeah!!!!!!! Congrats Brodi. That's so exciting. Can't wait to read it. Squeeing out loud for you! I'm so excited! Congrats! Congrats! Congrats! I can't wait to read it! Seriously excited! And yes I will continue to use excamation points!!! [Jumping up and down] Yay!!!! I can't believe almost a whole day went by before I had time to check your blog! I could have been this happy hours earlier!! Why so long? Edit faster! When does the teaser chapter go up? Why did Jeni get to read the whole first chapter? Jealous!! Thanks again everyone! And if you have any questions, leave them in the comments and I'll answer them! WOOOOOOOOOOOOO! Congrats. :) Can't wait to read it. AHHHHHHH!!!!!! Oh heck! That is SO EXCITING for you!!!!! !1 Sounds like its going to be an A-MAZ-ING book! Can't wait until its in my hands! Seriously awesome. We feel so honored to live around the corner from a celebrity!!! Brodi, I still break out in a humongous smile every time I think about this! I am so proud of you and so excited for the rest of the UNIVERSE to find out how talented and funny and brilliant you are! 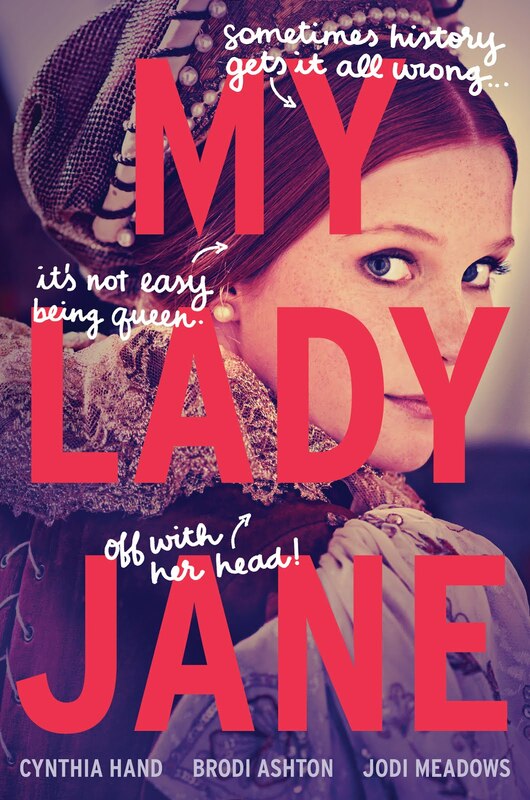 Congrats--awesome news and I can't wait to read itQ! Woot! Woot! That's me doing my celebration jump again in our driveway! This is phenomenal Brod - just plain AWESOME!! I'm SO happy for you! Will you sign my book for me so my posterity will know I was friends with someone famous? Seriously. You've worked so hard for this. I love you! PS - Do I get a free copy for being the 50th person to comment? Seems like a good idea, right? Yea for Brodi! Yea for HarperCollins for being so smart! This is Terrific with a capital T! Brodi -- how exciting! You go girl! Talked to your mom and got some of the details - how wonderful for you. Can't wait to read it! Congratulations! I'm excited to see your words in official print. Good luck being famous! Again, Thank you so much everyone! My cup runneth over. And floweth down the street, where it pooleth in a big heart for all of you. I'm so excited for you! Congratulations! Sorry to be late in hearing the news (had flu yesterday; I'm totally blaming that). This is so awesome! And I'm with Jeni and Chersti in being way stoked to finally read the whole thing. That is so exciting! I knew you'd make it! WooOOoOOhooOOooOOOooo! Congrats Brodi! YOU ROCK! Thanks again! totally still celebrating! (Which involves inhaling caffeine and watching Vampire Diaries). Hannah and I will definitely make plans to be at your launch (it will be my first real launch party)and I can't wait to stay up all night reading it. So exciting!!! Yay just doesn't seem like enough here. Not even a woo hoo is worthy of this amazing news. So I'll just say congratulations! Many congratulations! I don't even know how I got here this morning but I'm glad I did. Your blog's a great read! :) Good luck with the books.